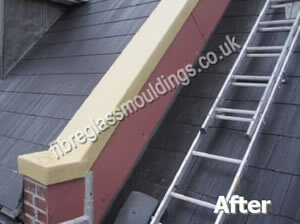 As you can see from the before and after photos, this product will transform the frontage of any house to get an authentic finish, this product is moulded from real rosemary tiles. 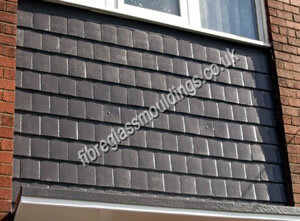 Between bay tile cladding is moulded in a one piece unit, hence very easy to fit, and even with kids throwing small stone chippings it will not fall apart unlike traditional tiles. 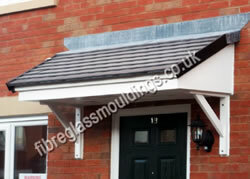 The product is pre-coloured hence no need to paint and is maintenance free and will not rot. The manufacturing process entails making a new mould so this product is only cost effective on 8 units and over to cover the tooling cost. maintenance free and will not rot. 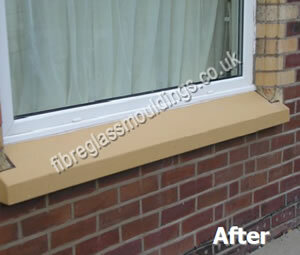 A chipped and tired cill can be cladded with a fresh looking, authentic and long lasting GRP cill. 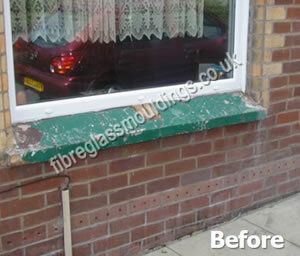 Cost effective, no need to remove old cill as this product fits over existing, hence saves labour time. This product is only available on large refurbishment projects due to the need for specific tooling. 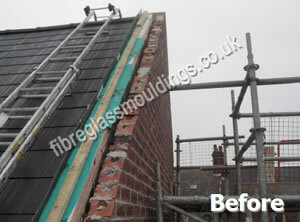 As you can see from the before and after photo�s the transformation from before to after. 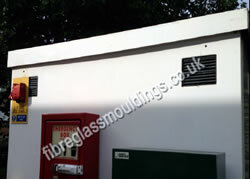 Old existing timber bin stores had asbestos and were rotten. The bin stores could not be knocked down and rebuilt due to gas, electric and water services. 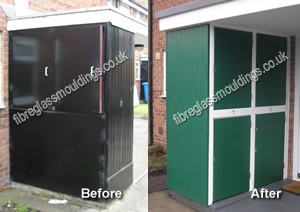 Only the rotten timber and asbestos was removed and then the bin store was cladded with GRP doors, GRP frame, GRP tongue and grove cladding and a new one piece canopy roof. 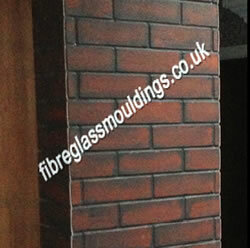 This product is only cost effective on 10 properties and above. 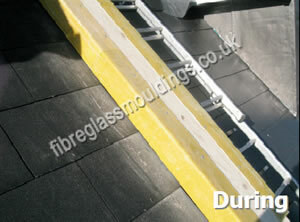 This product is installed by or trained personnel and scaffolding to be provided by client. 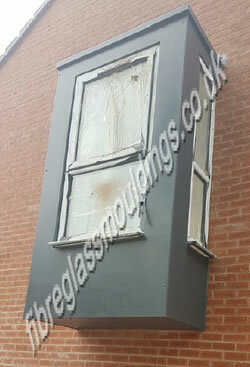 Parapet structure is formed out of timber, 18mm ply is installed, premoulded ending trims are installed and this is then covered with our GRP coating. 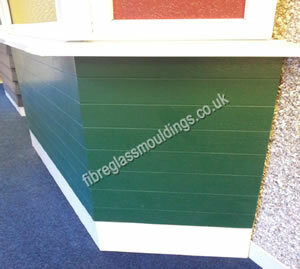 This product is seamless with no joints, very lightweight and mechanically fixed, hence no possibility of leaking or coming apart as traditional cills. 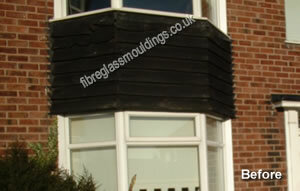 This product will transform the frontage of any house to get an authentic woodgrain finish. 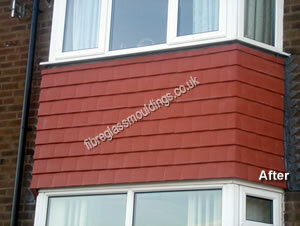 The product is pre-coloured hence no need to paint and it is maintenance free and will not rot. The manufacturing process en-tails making a new mould so this product is only cost effective on 8 units and over to cover the tool-ing cost. 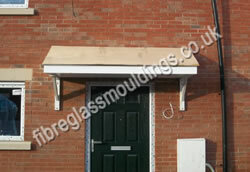 The soffit and side cheeks are manufactured in GRP and the struc-ture is strengthened ready to have traditional tiles fitted to pre-fitted 18mm plywood.